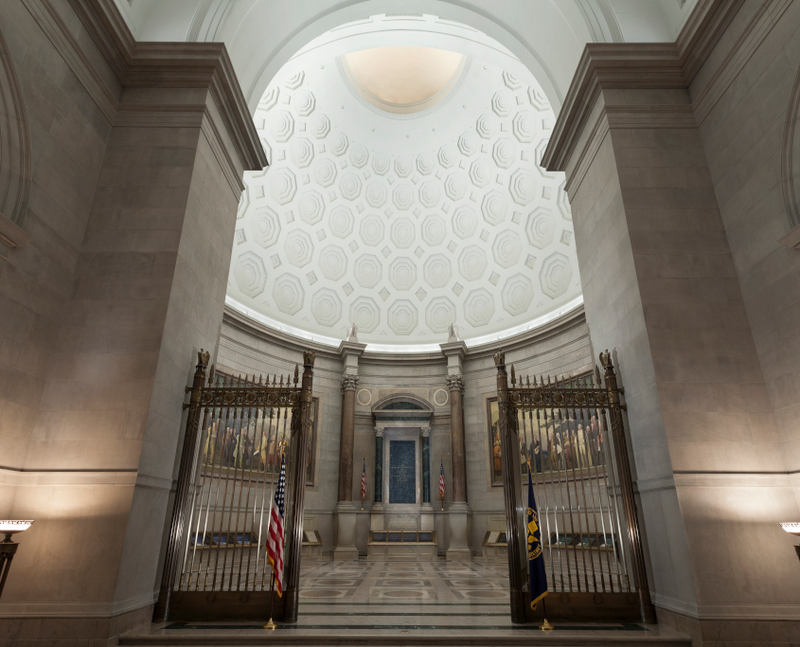 Rotunda for the Charters of Freedom - Prolume, Inc. 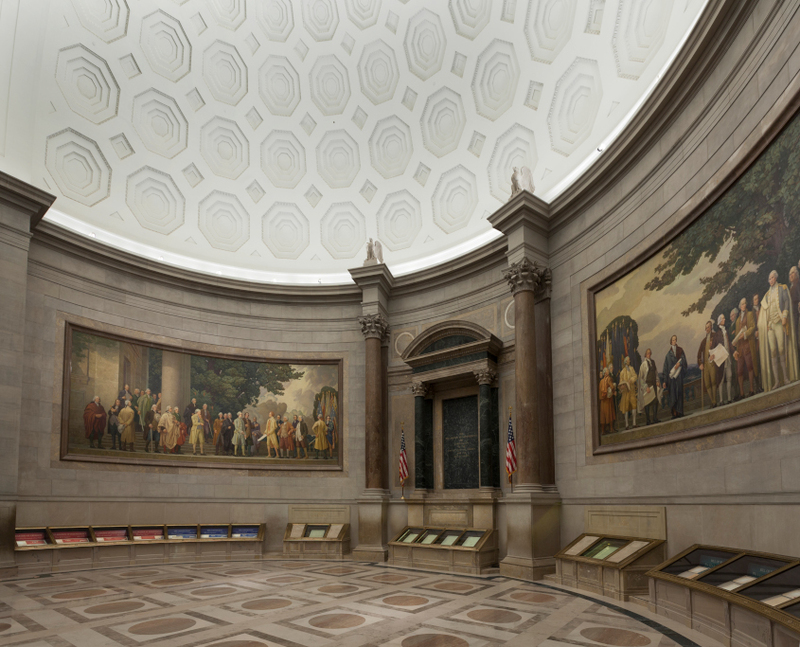 The Rotunda for the Charters of Freedom, at the National Archives museum, is the permanent home of the original Declaration of Independence, Constitution of the United States and Bill of Rights. 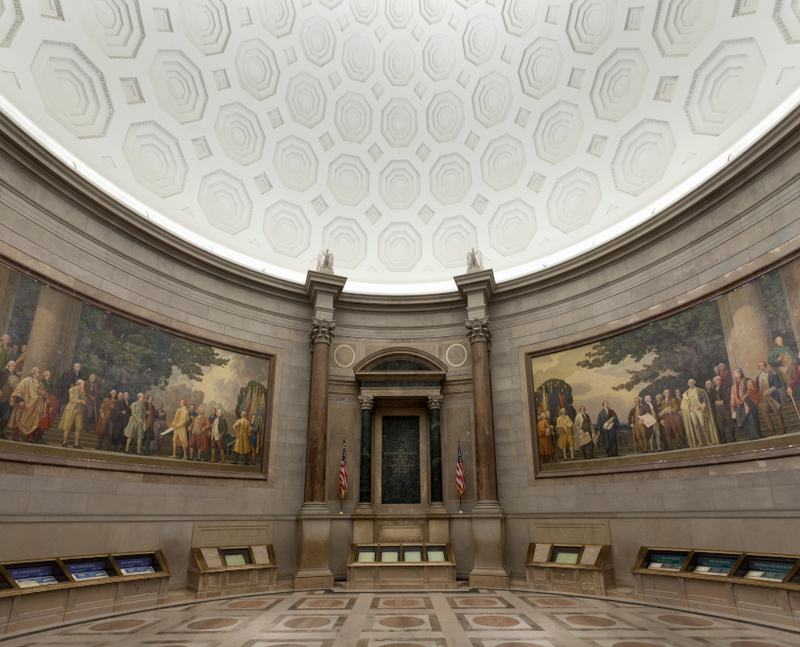 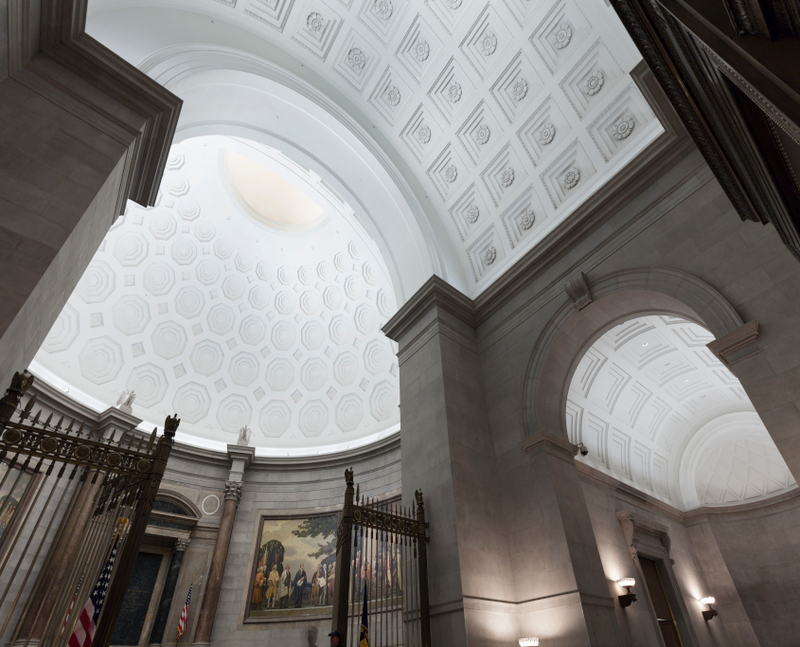 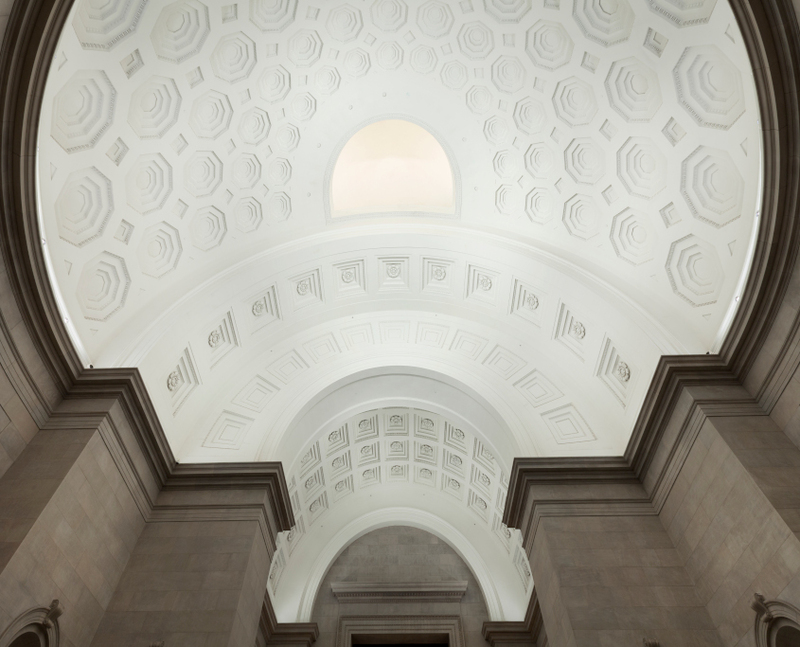 The Rotunda was renovated in 2003 to ensure the safekeeping of these records for generations to come and utilizes standard Luma Series HiCfx along with customized brackets to deliver ideal dome illumination. 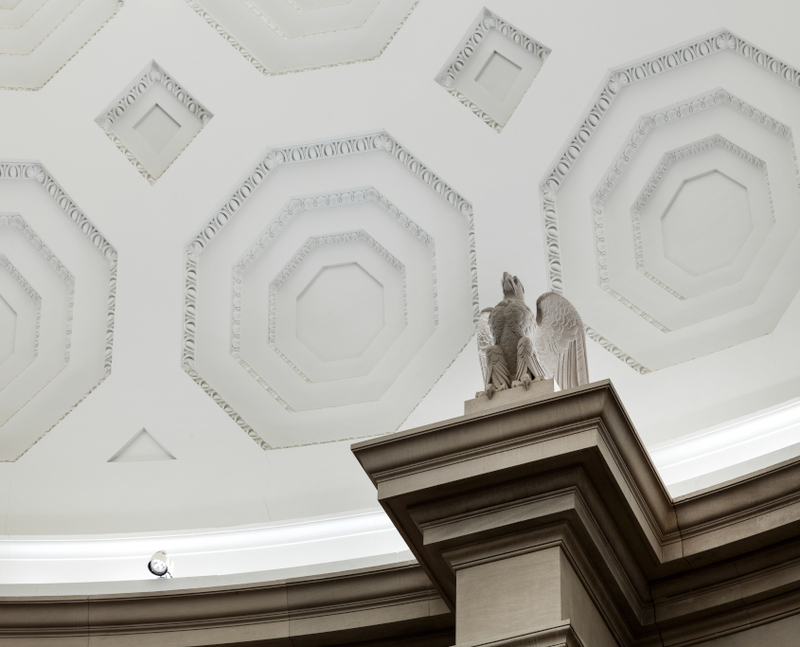 Visitors to the Rotunda will notice the cool temperature and the low lighting, which are designed to reduce the devastating effects of heat and light on the precious records.